I have purchased my slippers from shoezone for many years and have never had cause for complaint. 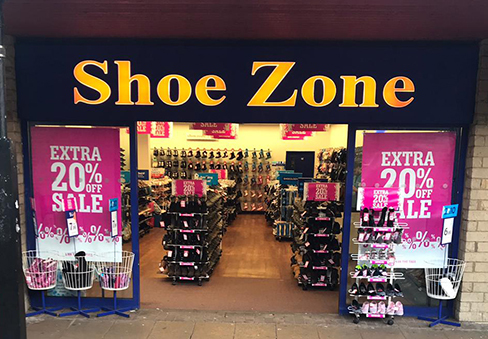 However on this occasion I must say shoezone has let themselves down. I bought three pairs of slippers two mens and one ladies . The men's are very good value as usual but the ladies pair for my wife are well below standard as the dye from the blue slippers ruined a new pair of socks. my wife returned the slippers to shoezone in Shipley only to be told they could not be returned, this is not acceptable as the slippers in question are obviously not fit for purpose. I will never use your stores again , many thanks. Staff are always helpful every time I shop there. Rochelle was pleasant and helpful, but the guy with her, (I think he was training her) was not helpful at all. I asked him if I could keep the small plastic clip, that keeps the shoes together, for my model making hobby. He threw the clip in a box/bin and said "Sorry, we recycle them". His attitude really rankled with me, I got the impression that any request from a customer would meet with a negative response. I aint a happy customer. Clean and tidy, helpful staff.